Late on Sunday night, Stone Engle was scrolling through Twitter when he saw a post to vote for this week’s GO EARN IT Wrestler of the Week award. As an avid voter in the weekly poll, the Mercer County 132-pound senior clicked on the link to see the candidates, and what he found was quite surprising. 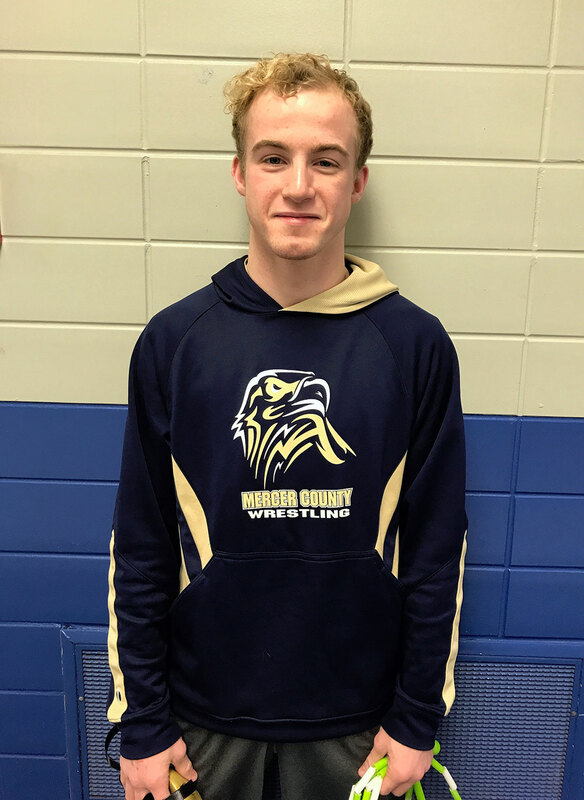 Engle – a three-time state medalist – was one of four finalists for the weekly award, which this week was given out based on regional performances. Engle was nominated for the honor after his thrilling regional showing, which was highlighted by an UTB victory over two-time defending state champion Fulton senior Tyler Fleetwood in the finals of the Class 1A Rockridge Regional. Nearly 36 hours after he learned of his nomination, Engle was officially voted as this week’s GO EARN IT Wrestler of the Week. Great support after a great weekend. After Engle and Fleetwood split a pair of regular-season matches, Engle won Round 3 in thrilling fashion. After Fleetwood scored the match-tying takedown with five seconds left in regulation, neither wrestler was able to find a takedown in the first overtime period, but each wrestler escaped in the riding session. With the match still tied to force the UTB, Engle chose down and found the match-winning escape. The victory helped Engle avenge his only loss of the season, which came to Fleetwood on Jan. 20 in the finals of the 35th Annual Bob Mitton Orion Invitational. Engle and Fleetwood enter a loaded Class 1A Oregon Sectional that features them both as well as Stillman Valley senior Jared VanFleet, who’s ranked No. 1 at 1A 132 pounds in the current Illinois Matmen 1A rankings, and Alleman freshman Jack Pattling, who’s ranked No. 5. Luckily, with his regional title, Engle is on the opposite side of the bracket of all three. Anything is possible in Engle’s quest for his first state title. After he finished fourth as a freshman and junior and third as a sophomore, Engle is aiming to accomplish the one goal he hasn’t thus far.